It’s December! Christmas is just around the corner and calling us to be KIND again. I know this post is a little bit late, but with my literature review for my dissertation due in today, I was so stressed and overwhelmed, I couldn’t really find the time to do anything else. It’s December already, can you believe it? What are your plans for this month? 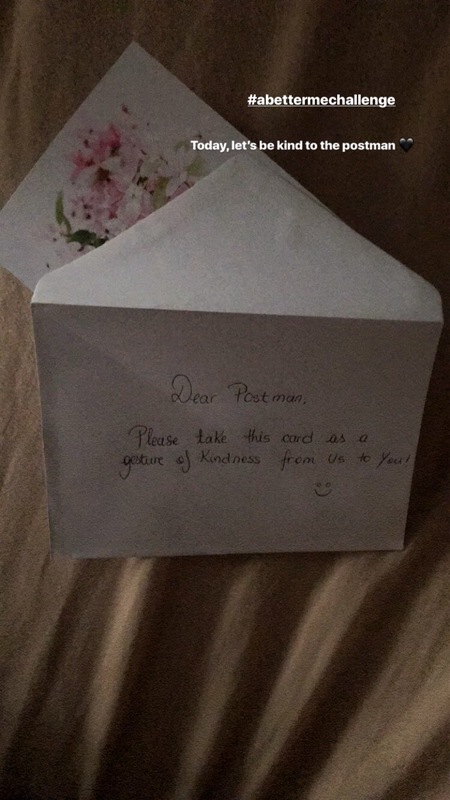 Last month’s challenge was also to be kind to one another but I did that by sending messages of kindness, etc. However, this month I want to actually give to people. Last month’s goal was to do that every single day and I realised that it’s quite hard to accomplish that (maybe it would be easier if I wasn’t going to uni). Therefore, I’m aiming to do a minimum of 2 acts of kindness this month and I’m hoping to keep this tradition for every single month of the year because giving is oh, my favourite thing to do. November was such a special month. I have managed to send messages to people that I have never seen or talked to before in my life, but that I appreciated because of who they are. 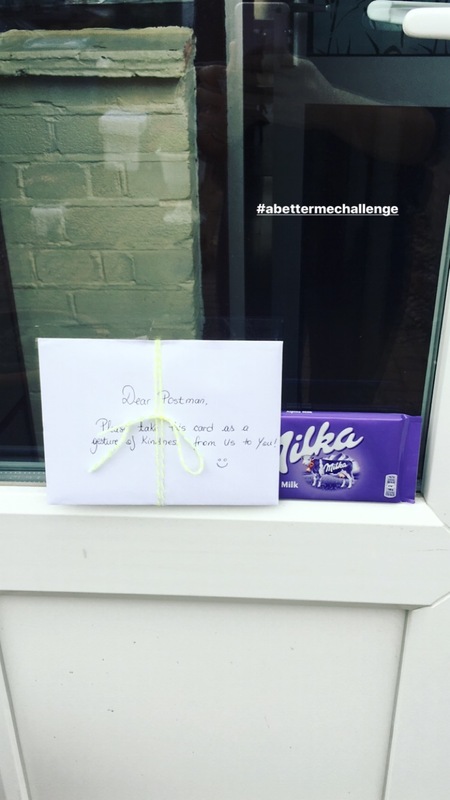 I have also left a thank you card and a chocolate on the door for our post man which inspired so many of my friends from Instagram to also be kind (by the way, I want to see all of your acts of kindness, so please use the hashtag #abettermechallenge). Lastly, I reconnected with old friends that I haven’t spoken with in years and thought that I never will again. Going through old pictures and remembering all the good times and memories with the people that once meant something for me, makes me miss them to a point where I really want to hear them one more time but just don’t have the courage to say ‘Hello’ anymore. I’m not asking you to be best friends again or tell each other your whole story since you last spoke, but .. make peace with each other. A ‘Hello, how are you? How have you been?’ is just enough .. for me at least, that is pure soul therapy. I don’t forgive very easily so I want to forgive more and repeat as many times as necessary. Omg I absolutely love this!! I’m going to share on twitter!! Thank you so much Sophia. I really appreciate it 💕! What lovely ideas! 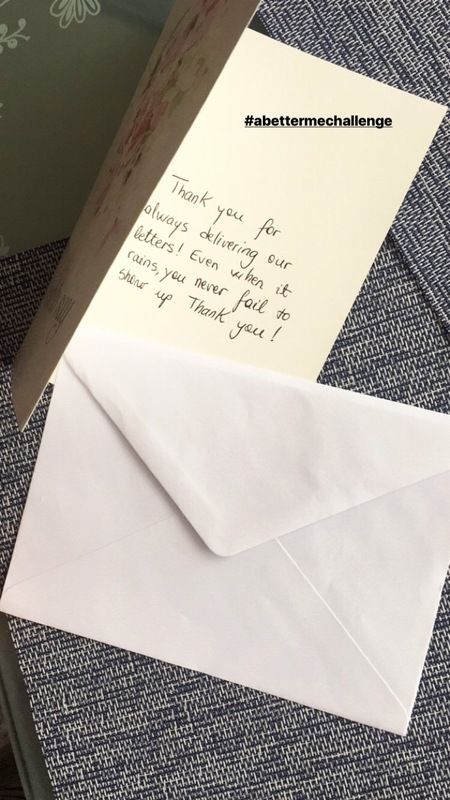 A little bit of kindness goes a long way!